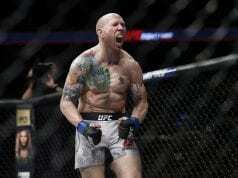 A featherweight scrap between Josh Emmett and Michael Johnson kept the UFC Philadelphia main card rolling on. As always, Lowkickmma will have you covered with all the results from UFC on ESPN 2 as they happen. Emmett (13-2) will make his return to the Octagon after more than a year away. 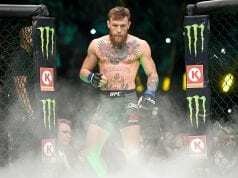 He was a fast-rising contender before suffering his first loss inside the promotion last February. As for Johnson (19-13). 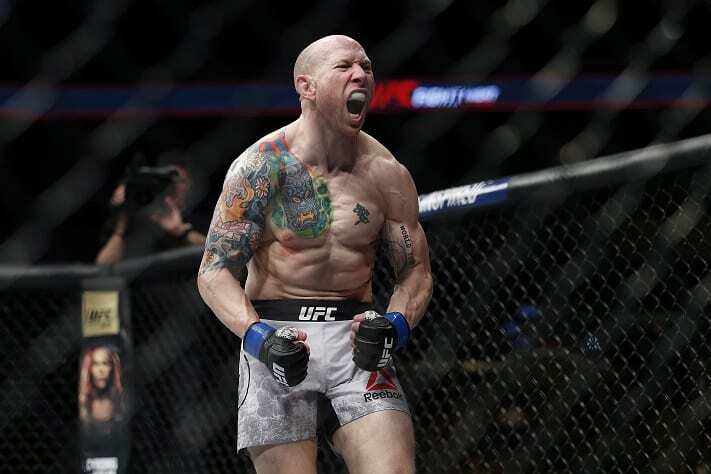 After going through a rough patch that saw “The Menace” lose five of six fights, Johnson has found his groove and is riding a two-fight winning streak. Will he make it three? Johnson takes to the center of the Octagon. He throws a lazy leg kick. Emmett shows a takedown but changes his mind. Both guys look to be taking in data on each other. Johnson pumps his jab as Emmett changes levels again. A bit of a chess match early on. Johnson throws a straight left hand. He follows with a right hand. Emmett throws a leg kick and again looks for an opportunity to take Johnson down. Johnson lands a jab, Emmett answers with a head kick that is mostly blocked. Johnson jabs the body and then goes high. Emmett showing good movement as he looks to get inside and land an overhand right. The round ends. Johnson cracks Emmett with a right hand to start. Emmett lands a switch kick. Johnson is doing a good job at staying just out of Emmett’s range. He lands another jab. Johnson’s faints are working great. Emmett lands a right hand. Both men using solid footwork to set up their boxing. Johnson doubles up on the jab. Emmett backs up and wings a right hand that buzzes by Johnson’s head. Johnson is fighting smooth tonight. He is finding his rhythm in round two. Emmett lands a body shot. He follows it up with a brief level change, then goes high with a kick. Johnson lands a body kick, Emmett returns but catches Johnson’s cup. The referee stops the fight and restarts it. Emmett looks for a takedown as the round ends. Emmett comes out for round three and presses the action. He fires off a one-two. Eemmett looks for another takedown but Johnson really looks good tonight. Johnson lands a left hand. He is out of range before Emmett can land. Johnson clips Emmett as he moves forward. He lands a body kick. The Alpha Male fighter has been desperately looking for the takedown. Emmett lands a right hand. Johnson wings a left. He throws a front kick, Emmett cracks him with a right hand that sends Johnson into night-night zone.